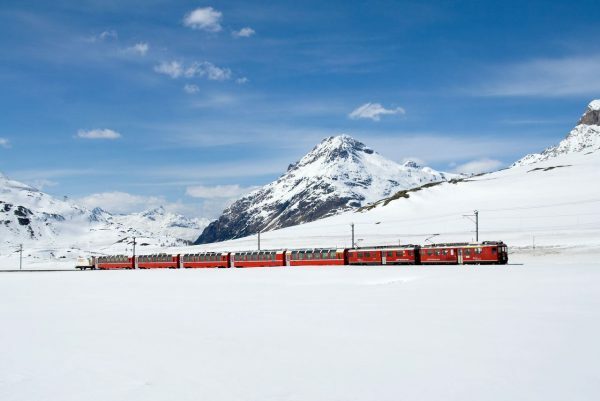 One of the highlights of this Switzerland train tour is the train journey aboard the Glacier Express from Zermatt, a picturesque cluster of rustic chalets beneath the majestic Matterhorn, to glitzy St. Moritz, one of the world’s most famous resorts. 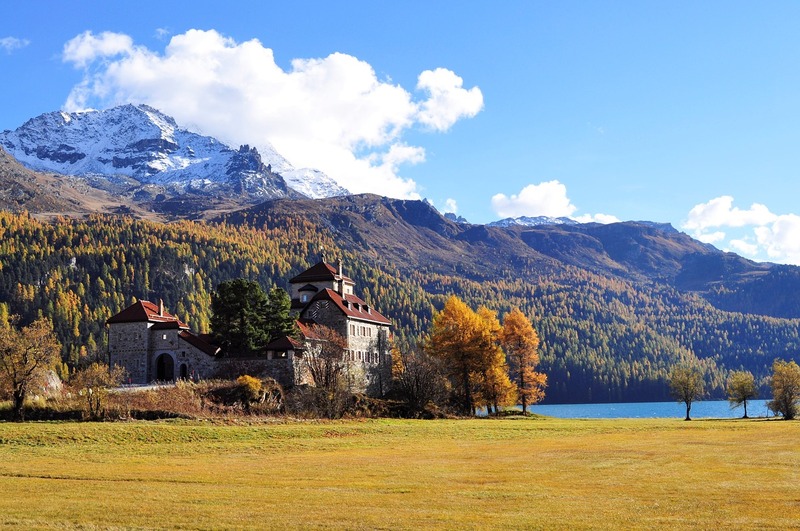 From your carriage windows, marvel at the thundering waterfalls, impressive snowcapped peaks, glacial ice fields, lush meadows, and picture-perfect villages. 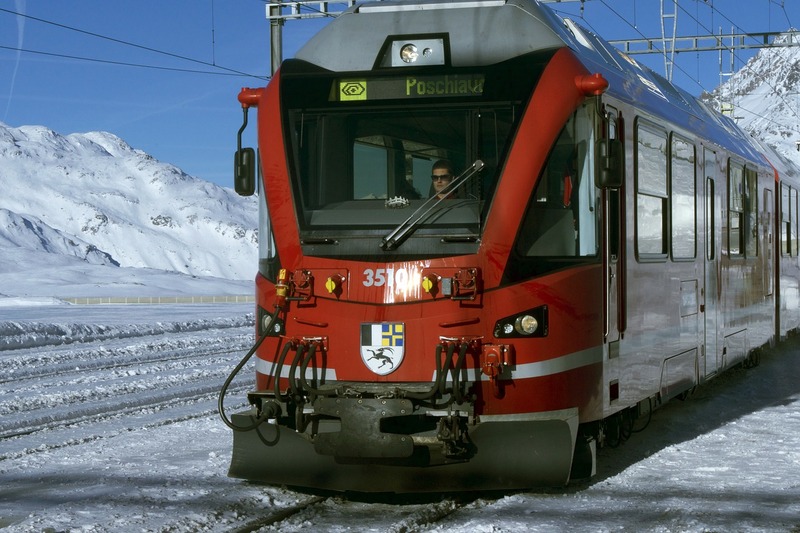 Another highlight of this Switzerland train tour is the journey aboard the Bernina Express from St Moritz to Tirano, Italy. 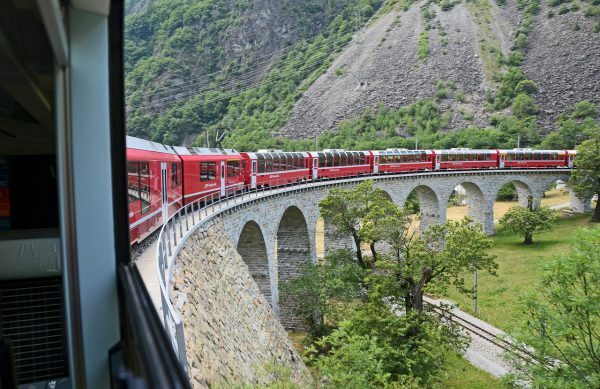 Traveling on the highest railway across the Alps, you’ll witness glistening glaciers, stunning mountain streams, and alpine scenery, and you’ll travel through tunnels and over bridges that are engineering masterpieces! 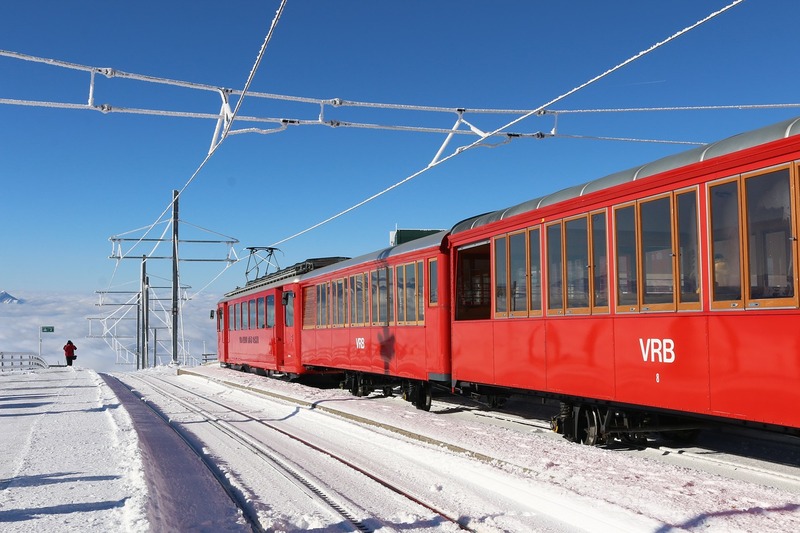 But that’s not all…you’ll also travel from Zermatt to Gornergrat in Europe’s highest open-air cog railway. You’ll journey over remarkable bridges, through tunnels, and past rocky ravines and beautiful lakes. The views of the Matterhorn from the top are nothing short of spectacular! 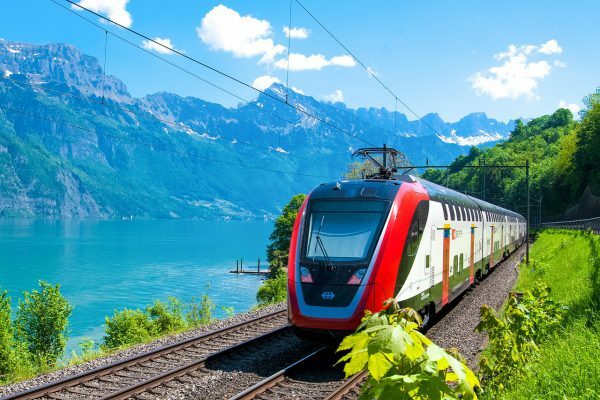 Other train journeys you’ll experience on this tour through Switzerland are the GoldenPass Panoramic train to Montreux, situated on the shores of Lake Geneva and known as the “Swiss Riviera.” You’ll feel like you are immersed in the landscapes passing you by. 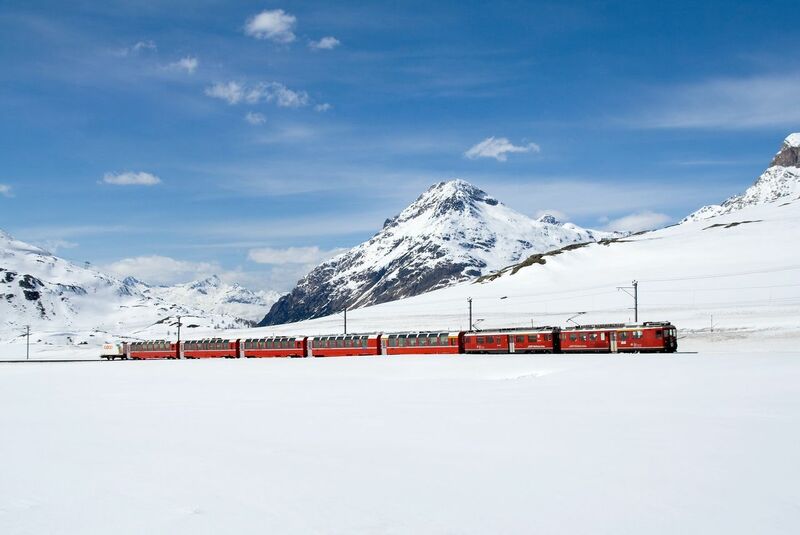 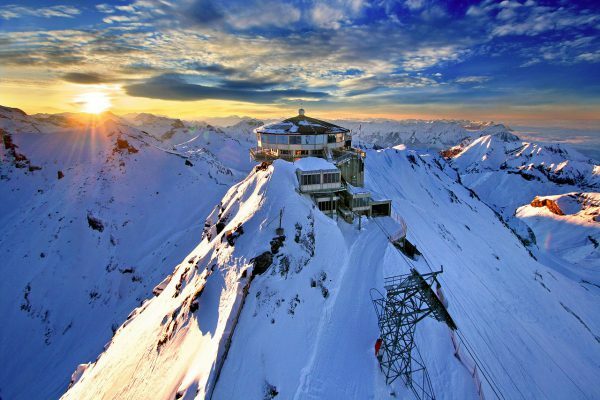 Stunning scenery and thrilling train rides…there’s no better way to see scenic Switzerland! So grab your camera and get ready for an amazing, value-minded vacation! Check into your hotel. 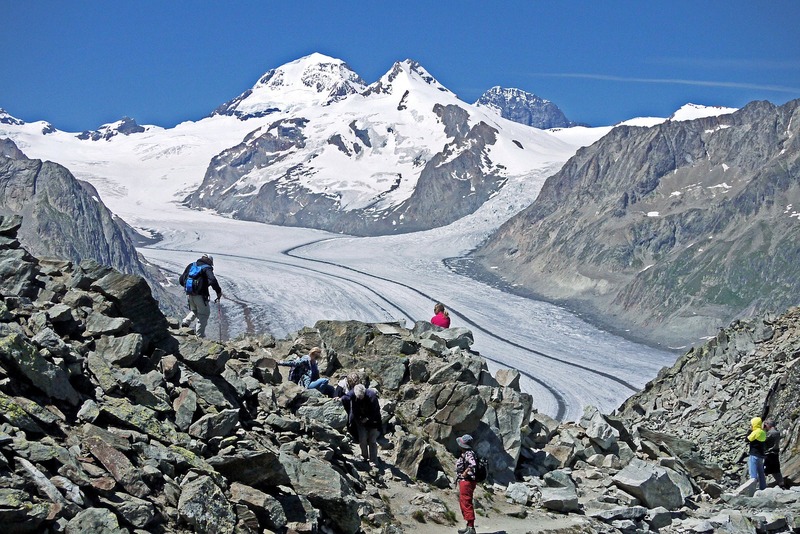 The rest of the day is free for you to explore Zurich. Tonight, meet your Tour Director and fellow travelers. 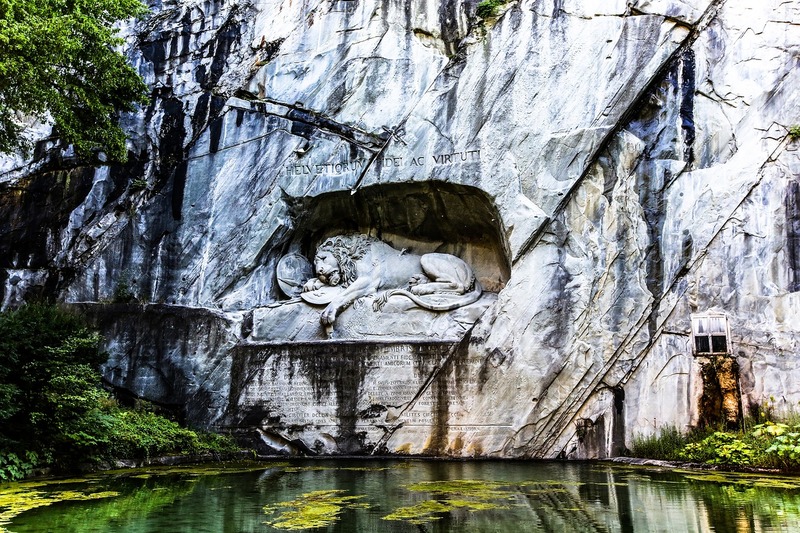 Leave Lucerne on the Lucerne-Interlaken Express. 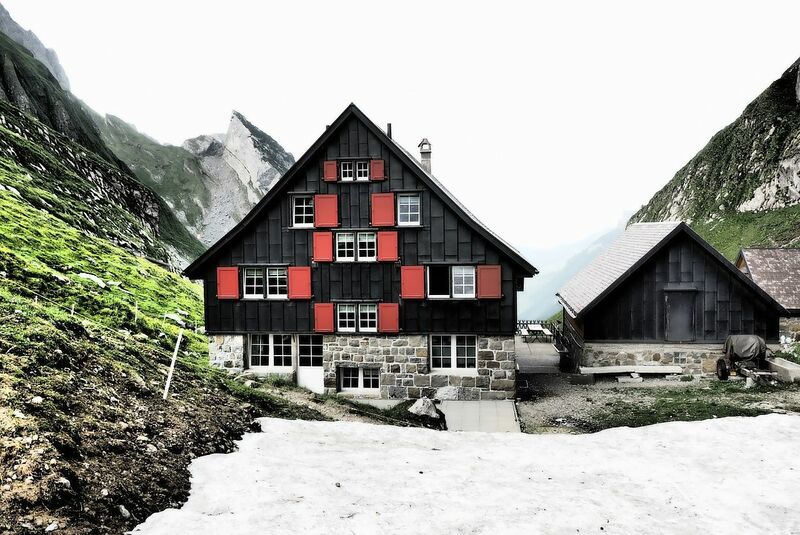 Cross Brunig Pass en route to Interlaken, where you spend some time strolling through the quaint streets. From Interlaken, take the BLS RegioExpress train to Zweisimmen. 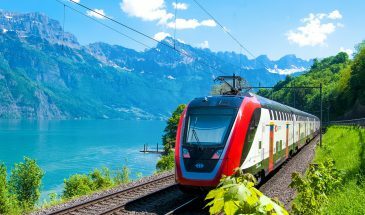 Continue on the MONTREUX–OBERLAND BERNOIS PANORAMIC TRAIN for your unforgettable journey to Montreux, then continue to Lausanne. Depart for the delightful Swiss mountain resort of Zermatt. En route, stop to visit the town of Montreux, situated on the shores of Lake Geneva and known as the “Swiss Riviera.” Enjoy some free time or maybe join the optional guided excursion to Chillon Castle before continuing by train to Zermatt. An included excursion takes you to the famous GORNERGRAT, traveling on board Europe’s highest rack railway. The views from its summit are spectacular. 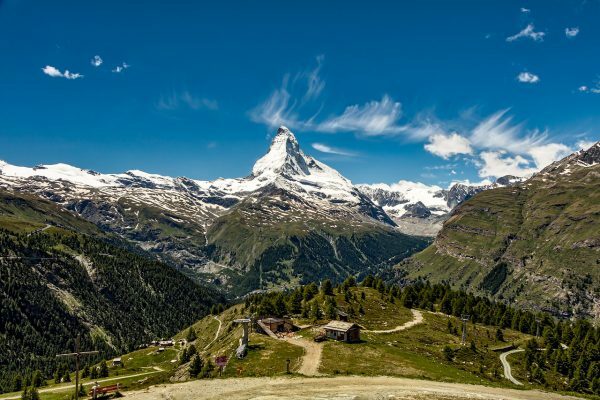 The rest of the day is at leisure in Zermatt—with a variety of interesting shops, cafés, bars, and narrow streets to explore. 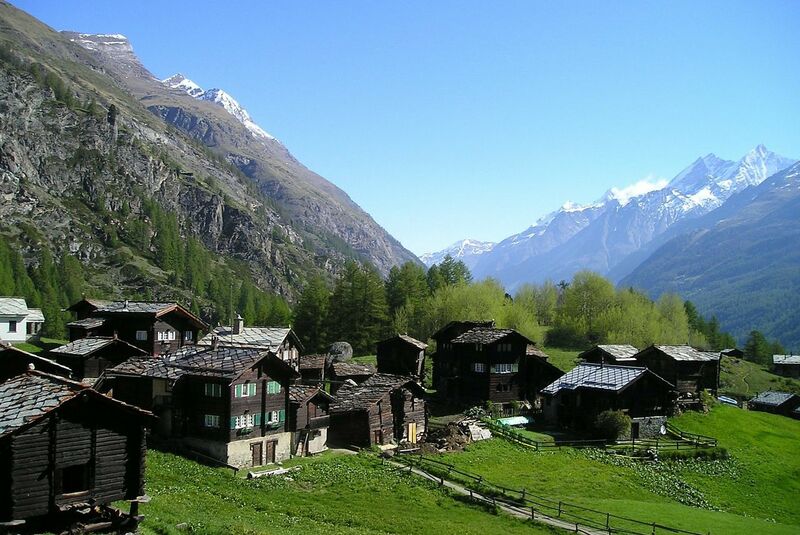 Good accommodations are vital to your enjoyment on tour, so we pre-screen before selecting. 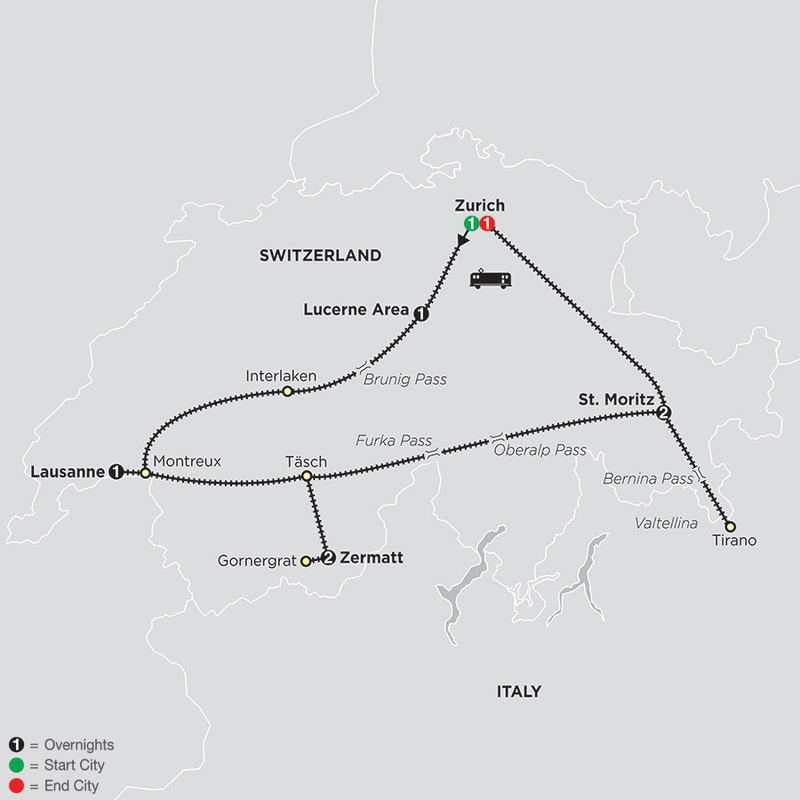 Hotels are as shown, although it may be necessary to substitute with an alternate hotel of equivalent standard.